BSNL JE 2016 is approaching and the time has arrived when you need to really work hard to excel in the BSNL JE 2016. In this era of intense competition, one must not merely aim at securing the qualifying cutoff but must aim for a higher score in order to guarantee success in the BSNL JE 2016. 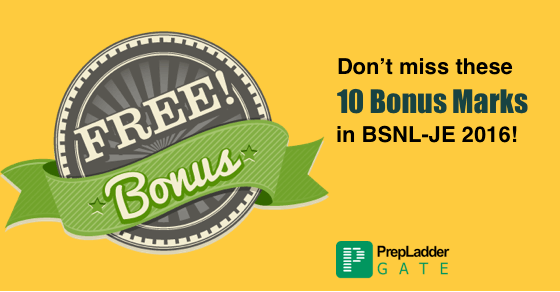 This article will list the tips which would assist you to secure 10+ bonus marks in the BSNL JE 2016. 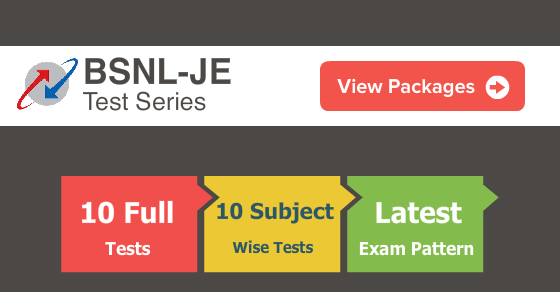 In order to get preparation tips , preparation tips and tutorials related to BSNL JE 2016 subscribe here !! It will be delivered to your personal email id. Expert Tips and Tutorials to crack BSNL-JE 2016 Exam. Since the exam comprises 200 questions and the time limit is 3 hours, you must plan on the amount of time to be devoted per question and their minimum targeted attempt. As per the analysis of previous year papers, 6-8 questions are covered from General English and the remaining are covered from General Science Section.For the General Abiity section, thoroughly prepare questions on Reading Comprehension, Fill in the Blanks, Antonyms/Synonyms.For General Science, prepare the Current Affairs of the previous 4-5 months and prepare Static G.K. This section is more scoring in comparison to the Specialization part.Questions in this section are theoretical, Formula and fact based. Focus on preparing the basics such as Definitions, concepts, equations, examples, differences and important points. For this part, you need to thoroughly prepare the basic concepts of each subject. Try to prepare at the basic level and do not prepare any subject in-depth.You must prepare at least 5 subjects thoroughly from this section in order to secure good marks in the exam. FREE Simulation Mock Test for BSNL-JE. Previous year paper analysis suggest that subjects such as Computers, Microprocessor and Control Systems contribute to more than 60 questions in the exam. This era of intense competition demands smart work. Commence your preparation with the most important and high-yielding topics of each section and advance to the less important topics in the later stage. Devote maximum amount of time in preparing the high-yielding topics and pay less emphasis on the unimportant ones. Time Management is an art which can only be learnt through adequate practice.In order to learn Effective Time Management, you must attempt a large number of online mock tests. You must try to reduce the time spent per question and section with each attempt. Try to improve your Time Management skills with each attempt. Practice is the key component of success in any entrance exam. After completing a topic, practice an adequate number of MCQs to attain a firm grip over each topic and to learn the implementation of concepts. In addition to practicing MCQs, take Online Mock Tests consistently.Take subject-wise tests after completing a particular subject and also attempt full-length tests. Analyze your performance after each mock test and track your mistakes. Work on your weaknesses and strive to reduce your mistakes with each attempt. You must avoid attempting unknown questions through blind guesswork since it will award you negative marks for each incorrect response. 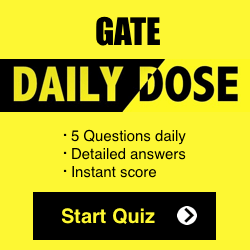 Answer unknown questions through Intelligent Guesswork. Go through the options and try to filter out the option which most appropriately fulfills the conditions given in the question. You must attempt those questions in the beginning which you find easy and are comfortable with. Mark the unknown and time-consuming questions in the beginning for further review. Try to complete all the easier questions and advance to the ‘Marked’ questions in the end.We are sure that you can definitely secure 150+ marks in BSNL JE 2016 if the aforesaid tips are implemented efficiently. Must Read : What is BSNL-JE Pro Pack ? How it will help me? What aspirants need is the right approach along with concrete strategies to reach their goals. BSNL JE PRO PACK has been the choice of successful aspirants all over India. It is the perfect online tool to check your level of preparedness amongst students preparing all over the country. You will be subscribed to BSNL-JE News.